Robin Van Gyn’s appearance in Depth Perception highlights one of snowboarding’s greatest flaws. 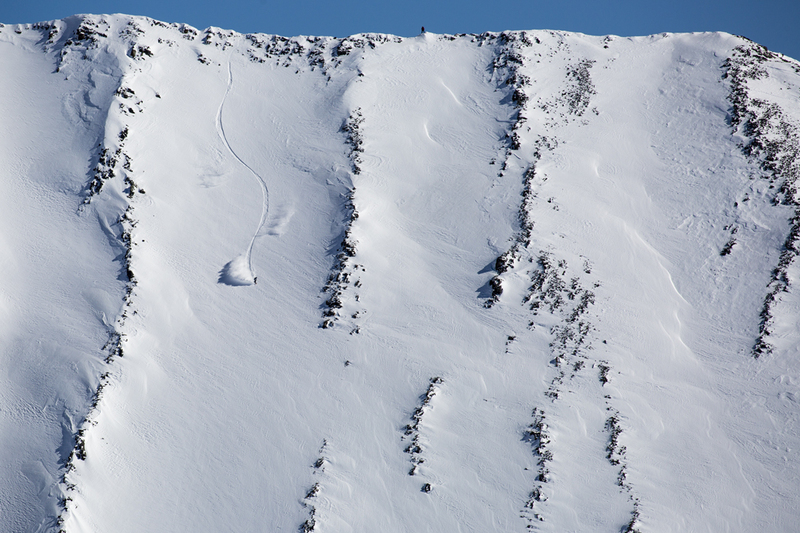 When Robin Van Gyn appeared in Travis Rice’s Depth Perception it was, well, “a big deal to a lot of people,” she said. The first woman to appear in a Rice film, Van Gyn entered a coveted cinematic space that the industry’s male eminence has long occupied. Rice’s decision to include the Canadian professional snowboarder “set a new standard,” she said. After the film’s October 2017 release, Van Gyn began fielding offers for projects headed by all-male crews that, historically, were out of her reach. 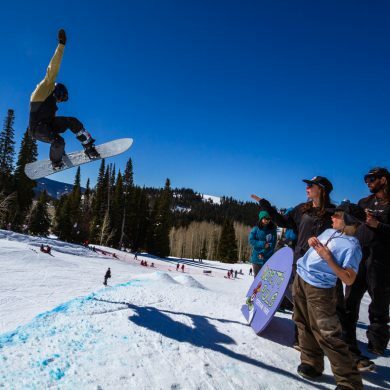 In the dozens of snowboard films released in 2018, women scarcely appeared. There were, however, some exceptions. Unsurprisingly, Van Gyn was one. She joined Jeremy Jones in Teton Gravity Research’s Far Out. (Jones also worked with another woman snowboarder this year—Olympian Elena Hight in Ode to Muir.) Two all-women’s snowboard films hit the silver screen too: The Uninvited by Jess Kimura and Vans’s first all-women production: Listen To The Eyes featuring Vans team riders Hana Beaman, Mary Rand and Leanne Pelosi. Still, there is more work to be done and recently, Van Gyn made sure to let the industry know. For her part in Depth Perception, Van Gyn won the 2018 Transworld Snowboarding award for Women’s Video Part of the Year, an honor for which she is no stranger. It was the second time she took home that title in as many years. (In 2017, it was for her part in Pelosi’s all-women film Full Moon.) During her acceptance speech, Van Gyn didn’t mince words. Rice set an example “for everybody who makes films and all the brands out there to include your women,” she told the audience. Snow brands and media, Van Gyn explained, are stifling snowboarding’s growth when they exclude women or depict them as merely pretty faces. Alternatively, when women see other women riding big mountain lines or soaring through the terrain park, they see possibility. Rice, for his part, is keenly aware of the problem. In fact, he was seeking a woman rider to appear in one of his films long before Depth Perception. For his 2016 film The Fourth Phase, a three-and-half-year project, he “really wanted to involve a woman, but for a number of reasons it didn’t work out.” During that time certain prominent women were working on other projects, he said. I am not just bringing on a woman, I am bringing on the right woman. 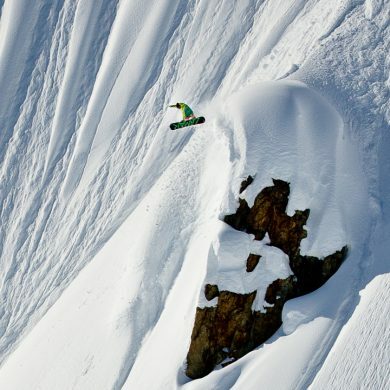 Years later, when Rice started planning for Depth Perception, he thought of Van Gyn, a denizen of the British Columbia backcountry. Although her experience in B.C. placed her on Rice’s filming radar, he has followed Van Gyn’s career for years. 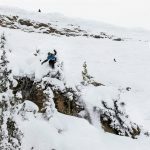 Van Gyn, he said, has essential qualities for riding British Columbia’s intensely dynamic terrain: “she is strong-minded, confident” and “one of the more certified pro-snowboarders I know,” he said. Van Gyn began her snowboarding career at the University of Calgary more than a decade ago. 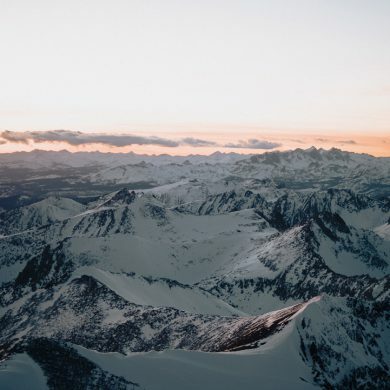 She entered the competitive milieu—big air, rail jams and slopestyle before amassing backcountry experience and certifications that drew her to coach in the Andes and tailguide at Baldface. 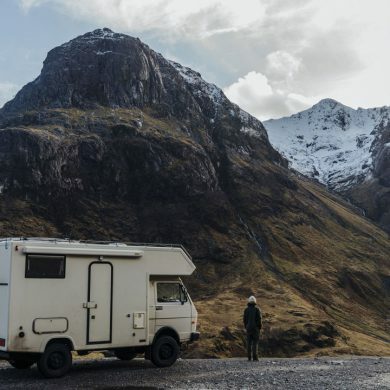 It was in the backcountry where she felt most at home and where she continues to push her boundaries. Of the Depth Perception crew, Austen Sweetin and Bryan Fox, Rice said Van Gyn was one of the strongest members. “I am not just bringing on a woman,” Rice told Van Gyn, “I am bringing on the right woman.” Still, it was a mental battle for Van Gyn. Given her crew’s stature, she was “intimidated going into that project, like I had to snowboard better than I ever have.” It is a known scenario for many women who want to prove their worth in a space that has long been dominated by men. Robyn Vincent is the editor of Jackson Hole Snowboarder Magazine.